By connecting cloud technology, we provide a fully comprehensive online service, covering all the bookkeeping, accounting, tax compliance and advice that a small business needs. Not just software and not just expertise, but both – in one all-inclusive, low-cost package. This new, modern approach dramatically improves the service small businesses receive – reducing time, cost and risk and improving control. What makes Joseph Mukkada, CPA different from other accountants? We’re committed to providing you with a friendly, approachable and helpful service at all times. We offer affordable, fixed price monthly accounting packages so you can budget and control the cash flow. Our approach is centered on the needs of our clients and delivering a first-rate, personal service to provide you with expert strategic advice to help you make the right decision. We utilise the latest accounting and IT technology to help you organise your business or rental property finances more efficiently. Watch how XERO can transform your business! Joseph Mukkada, a chartered professional accountant based on London, ON, dedicated to fulfilling accounting needs with friendly and reliable service. A Chartered Professional Accountant (CPA) is a trusted designation, nationally governed by the Canadian Institute of Chartered Accountants. This designation creates confidence that your financial needs are cared professionally. Joseph Mukkada, CPA has been widely known for his approachability and skill, specializing in fields including business taxes, trucking and retail industry accounting, small business advisory, as well as personal income tax.In addition to his accounting designation, Joseph Mukkada is a member of the Canadian Tax Foundation. Our vision is to continually improve our services in both quality and scope to assist our clients to adapt to the ever-changing environment. The firm’s mission is to provide excellent client service and high quality professional advice to all of our clients in a prompt timely manner. To achieve this goal, we use our vast experience and technical knowledge and strong understanding of our client needs. Making sense. Helping people to understand their accounting & taxation through education, assistance and advice. Always helping. Understanding people’s needs and helping them work through financial problems and issues. Trust and integrity. Being reliable, honest and stimulating confidence. Respect and encouragement. Valuing diversity, assisting each other and maintaining a positive outlook at all times. Quality. Striving to do better as Joseph Mukkada, CPA benchmarks its performance against their highest standards, not against competitors. We are a full service cloud accounting firm based in London ON, Canada, primarily focused on XERO Accounting Software. Our aim is to make our client’s accounting information system simple and efficient by delivering cost effective and prompt services. 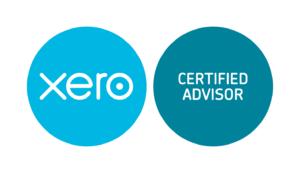 We are Certified Advisors and Partner of XERO. With our fixed cost accounting packages, you can choose a plan to best suit your needs, with the option to upgrade in future as your business grows. Fixed cost accounting gives you certainty; you can plan your budget, and add extra services as and when you need them. For monthly services, XERO Accounting Software and receipt bank are provided inclusive of our monthly fee. No need to pay separately. If services are terminated, the subscription is transferred to the client without difficulty. You can access our professional accountants by phone, email and Skype, when it suits you, all year around, not only at year-end or when there´s room in the diary. No appointment necessary and you don´t have to trek to the office. The solution we offer is ideal for today’s small businesses, whose owners want a quick, efficient and high-quality way to take away the hassle of accounting and tax compliance and give them visibility over their financial position, using modern communication tools. When we prepare financial statements, our philosophy is to get the basics right first then look beyond the numbers to see where we can improve your tax and internal efficiencies. If you want your accountant to help you identify how your business is performing, how it performs against industry benchmarks, and where improvements can be made, then speak to Joseph Mukkada, CPA today. When you’re looking for an accountant, we understand that you want to engage someone who understands the workings of an increasingly complex tax system. But, you also want someone who is going to make that knowledge make sense to you or your business. All in a practical, no fuss way. Fulfilling your businesses compliance needs is something that you have to do and have to do correctly. And, you have to do it every year. Managing your tax and accounting needs is not just about form filling for the Government. It’s about understanding how you operate, how you need to be operating, and the most efficient and practical way of fulfilling your obligations. We know where problems can occur and where possible, identify those problem areas for you (and help you with the solutions). We understand that you are busy and need your tax and compliance managed efficiently and effectively. Who said income tax was easy? If you’re a landlord, business owner, or shareholder, often your personal income tax needs are never that simple. It’s important to work with advisers who can help you identify the tax impact of the decisions you make and how you can achieve the best possible outcome. When you are involved in complex areas such as property developments and franchisee, it’s essential to have an experienced Accountant behind you. Joseph Mukkada, CPA understands the GST/HST and the implications of the legislation at a commercial level. Generally, we manage tax and accounting compliance for our clients as part of a broader suite of services. Typically, we would take care of your business tax requirements, financial reporting requirements, as well as your personal needs. This way, we can maintain the consistency of outcomes across multiple entities. When it comes to tax and accounting, we can manage your full compliance needs in this area or work with your internal accountants to review, reconcile, and submit your financial statements. Contact us today for a FREE, no obligation appointment to see how we could make your business more profitable. Grow your business strategically and sustainably with our support. Businesses without effective strategic planning might be significantly underperforming by utilising the bulk of their resources in areas that fail to produce results, missing opportunities, being exposed to unnecessary risk or simply growing too quickly. Our approach is commercially realistic and focussed on creating a viable road map and implementation path to help you attain your goals. Clients come to us to help them take their next step or assess the viability of their goals; at Joseph Mukkada, CPA, we help you achieve both efficiency by doing things right and effectiveness by doing the right things. Stay on top of your business accounting, at minimal time and cost, with Monthly XERO basic accounting packages from Joseph Mukkada, CPA. With a Joseph Mukkada, CPA monthly basic business accounting package, you’ll benefit from the most up to date technology, and the support of professional accountants when you need it. Get XERO and a basic monthly accounting package from Joseph Mukkada, CPA today, and you’ll find it’s quick, easy and affordable to stay compliant with accounting standards, and get up-to-date financial information to aid decision making. You’ll save time, save money, and like many of our clients, you might even start to enjoy your accounting. What’s included in your Business Accounting package? Maximize your business returns and free up your time, with a monthly bookkeeping packages from Joseph Mukkada, CPA. What’s included in your Bookkeeping Basic Package? Improve your performance and profitability! Our Virtual Chief Financial Officer gives you an accountancy service, plus strategic planning and goal setting, implementation of financial systems and controls, monitoring and support plus monthly meetings from as little as $500 per month. Implementation of XERO accounting system: We’ll set your business up on XERO – the easy-to-use accounting system that’s accessible online 24 hours a day. XERO links directly to your bank account, reducing your workload and saving you time and money. There are no additional software or training costs. GST/HST Returns: Your GST returns will be prepared by professionals, using a system that fully complies with CRA requirements. End of Year Accounting: Your end-of-year financial statements will be prepared and returns filed accurately and on time. Tax Forecasting: Forecasting tax enables you to plan and save for it, while minimising interest and penalties on underpaid tax. Business Analysis: Provides a benchmark from which to measure actual results, and identifies areas for improvement and opportunities for development. Strategic planning: We work with you to set goals and provide a strategic plan and direction for your business. This includes preparing a financial plan, forecasts and setting KPI’s. Monthly Reporting: We’ll monitor your performance and provide current data on what is happening financially in your business. Includes profit and loss statements, balance sheets, cash flow and income statements. Monthly Meeting: Regular meetings with owner and managers to focus on profit and cash flow improvement. This enables your business to take any necessary corrective action sooner rather than later, and have up to date information and reports on which to base decisions. Unlimited support: You’ll enjoy unlimited telephone and email support. *Prices vary on requirements of client and are custom to each individual or business. All packages selected for processing, will not be finalized until the completion of the initial assessment with a member of the Joseph Mukkada, CPA team. For more information on packages, please contact Joseph Mukkada, CPA today. Some restrictions apply. I really like the fact that Joseph Mukkada, CPA has fixed price accounting services so you can pay a small amount each month rather than being hit with a huge bill at the end of the year. Their up to date systems and use of technology also means we no longer have to manually input all accounting data which saves our staff about 5 days’ work per month!